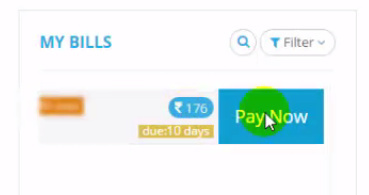 If you are a BSNL wimax user and making BSNL bill payment online for the first time then here is how you can pay BSNL wimax bill online and not only wimax, you can pay landline, gsm, cdma bill online through bsnl portal easily. 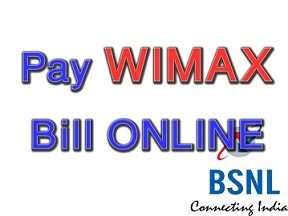 Now to pay wimax online bill you first need to signup to bsnl portal and create an account for bill payment. 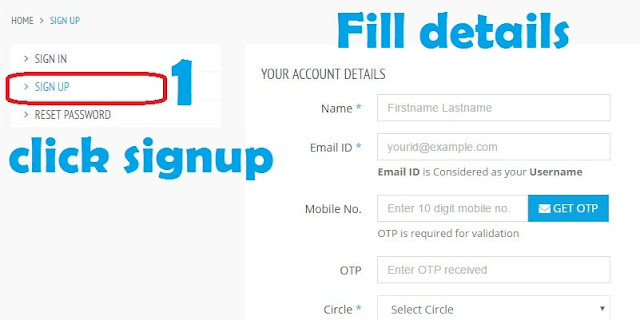 For signup you need an email account, a working phone number ( BSNL number will be best) for verification and notifications of bsnl bill online payment. And you also need to fill your BSNL Circle(mostly your State name). And after that just create a password. Now After signup and verification of your phone number, you can now login to your bsnl portal to add services. Now after logging in you will see two columns named as 'My accounts' 'My Bills' stating no bills found. Now you need to add account for that first on the left side under Manage Accounts, click on 'Postpaid Accounts' . From here you can add Wimax , gsm , cdma and other services which you are using and wanted to pay bill. Now Manage Account page will open and then click on 'services' tab and there a Drop down menu will open. 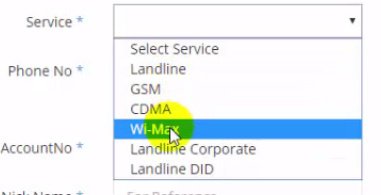 From that menu you need to select Wimax or you other service for which you want to make a bill payment online. Now after that you will see 'Wimax-ID' , 'Account number', 'Nick name'. You will get these all information from your e-bill or your paper bill. 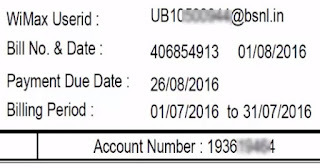 Wimax-ID refers to user name which is like 'UB10xxxxxx@bsnl.in' but just copy only first 10 digits of username and leave @bsnl.in part and put it on Wimax-ID portion and 'account number' will be there in your bill. And after that put a nick name where it is asked and click on submit. Now click on 'Dashboard' and you will see there your linked wimax account. Under 'My Bills' section you will see your wimax id and as soon as you will click on that, a pay now slider will originate and after clicking on it you will be redirected to online payment page. Now you are redirected for making payment. Now there are a lot of options for making payment such as netbanking, credit card, debit cards and other payment method. If you have online banking activated then you can use net-banking and you will be asked to select your bank. But as every one doesn't have net banking enabled so Debit card is more easy option for paying. So select 'debit card' and then you need to check the brand of Debit card which will be written on bottom of card. After selecting appropriate brand of your card, you will asked to select payment gateway. You can select any one of them. After selecting these, click on continue to payment and you will be redirected to page where your debit card details will be asked for bsnl bill online payment. Now fill all these details like card number is of 14 - 20 digits so put it there on 'card number', on card holder name put your name or the bank account holder name after that check for the expiry date on card. You will find card expiry date in front ( 2/24) and for cvv number you need to look on the back of your card. It is just a three digit number. 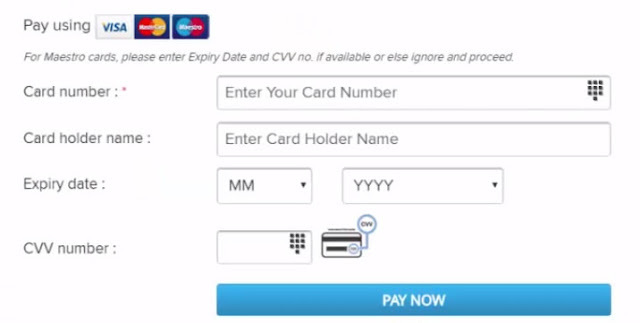 After that you when you will click pay now, you will be redirected to another page where OTP will be asked, or if you are using your Card for the first time, then it will ask for atm pin. And after that a password will be sent to your cellphone number which is registered with bank. 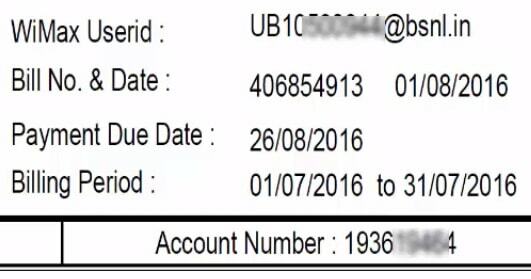 And as soon as you punch that code the payment for BSNL wimax bill online will be made. And you will be redirected with a bill receipt. You can save it or you can check your email for bill receipt. In this way it is very easy to pay all bills online and now you can easily pay bsnl wimax bill online and respective services. So if you find this article helpful, then give your feedback in comments and if you have any suggestions or problems, you can mention in comments and share this article with your friends as knowledge increases by sharing.